A pastel painting by Ben Alverson was the 2017 winner of the Lin C. Parker Wrapping Paper Design Contest. The Lin C. Parker Wrapping Paper Design Contest is underway for area school-age children. Parker, a longtime writer/page designer with the Times Free Press, conceived the idea for a holiday gift wrapping contest for school-age students in 2002, and she lovingly oversaw it until her death in September 2017. It was renamed in her memory last year. The contest is open to students in grades 1-5. The deadline for entry is 5 p.m. Wednesday, Nov. 21. Ten finalists will be selected by representatives of the sponsoring organizations, which also include ArtsBuild, Chattanooga's Kids on the Block and the Creative Discovery Museum. Readers can view the finalists and vote in a Readers' Choice contest at timesfreepress.com. The finalists' works will be displayed at the CDM. The judges' winning design will be printed in the newspaper on Sunday, Dec. 9. Readers can wrap gifts with that page of original artwork. Copies also will be available at the Kids on the Block wrapping stations at Hamilton Place mall through Christmas Eve. Last year's winner was Ben Alverson, then a 9-year-old third-grader at Chattanooga School for the Liberal Arts. 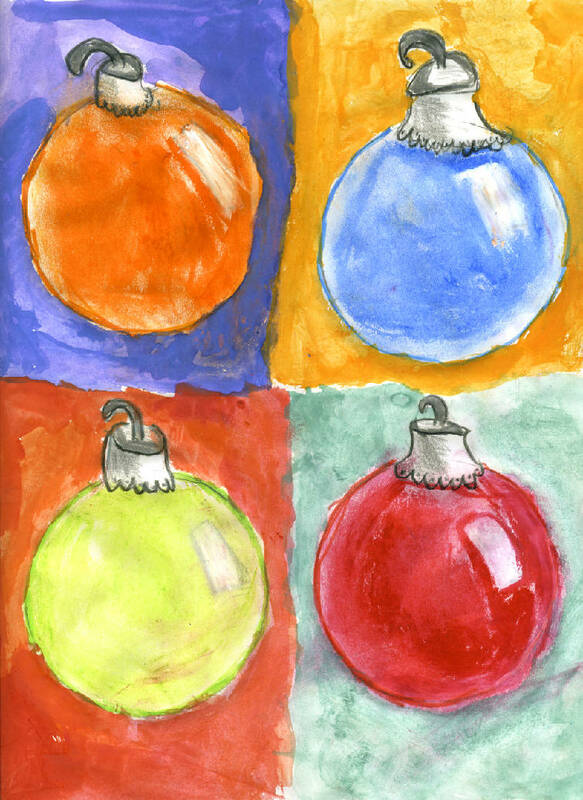 The son of Jim and Stacy Alverson featured a pastel painting of four ornaments. » Who can enter: Any elementary school student in grades 1-5. One entry per child. » Deadline: Entries must be received by 5 p.m. Wednesday, Nov. 21. » Grand prize: The winner will receive a cash prize of $25 plus an arts package and goody bag from co-sponsors ArtsBuild, Chattanooga's Kids on the Block and Creative Discovery Museum. » Entry format: Use an 8 1/2- by 11-inch piece of unlined paper. Entry should have the child's name, age, address, telephone number, grade and school printed on the back. A teacher's name is also helpful. » Mail or hand-deliver to: Wrapping Paper Contest, Chattanooga Times Free Press, 400 E. 11th St., Chattanooga TN 37403. » Information: Call Sara Jackson at 423-757-6594 or email her at saraj@timesfreepress.com. » Fill the entire page. » Choose paint, crayon, chalk, markers or pens, construction paper or other creative materials.